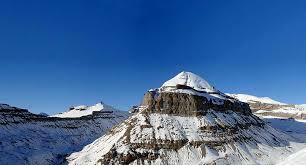 Here is some Information about Manasa Temple(Shakti Pith)in Kailash Man Sarovar Tibet . Location: Kailash Man Sarovar Tibet . The Manasa Shakti Pith Temple is located near Kailash Man Sarovar lake Tibet.The temple is dedicated to Goddesh shakti .This Shakti peeth is placed just beside the most pure and sacred water body specifically known as Lake Manas sarovar. There is different explanation laid down by people with Hindu religion about the falling of a specific body part of Goddess sati at Shakti peeth Manasa. After various controversial talks, a group of prominent leaders have come to a conclusion that right palm of Devi sati has fallen down at shakti peeth Manasa. 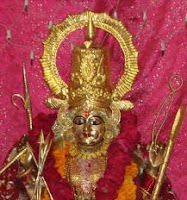 Mansa Shakti Peeth, whereon Goddess Shakti’ right palm fell, has the priceless presence naming Goddess Mansa Temple. Goddees Mansa Temple boosts to the saintly rituals of Haridwar. Also, the very incredible course from River Ganga blesses to the adorers coming for Goddess Mansa Temple. With the boon from Goddess Mansa, adorers by Cable Car make their attendance just at front to Godees Mansa Temple. By Road : There are many public and private vehecels available to reach Manasa Shakti Pith Temple. By Rail : Not Availabel. By Air : The Nearest Airport is Jammu Airport.